Canada Post is in negotiation with its employees on a new labour contract. As a result, there is currently a service disruption. Items normally shipped via Canada Post may be delayed because of this service disruption. For the latest information, please see Canada Post’s website. 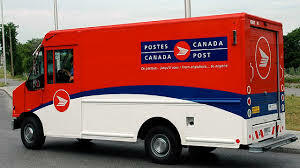 While Federal legislation to put Canada Post workers back on the job officially passed Monday and will take effect at noon ET on Tuesday, forcing an end to rotating strikes, it is very likely that the backlog will cause significant shipping delays. Will the Canada Post service disruption affect my delivery date? Can I still have my order shipped during this service disruption? During the service disruption, Canada Post will continue to ship and deliver orders, but they may be delayed. Large items normally shipped with UPS will continue to be delivered as usual.